A South American country has not won the World Cup since Brazil beat Germany in Japan in 2002. Will that change in Russia? We all know about Argentina’s Lionel Messi and Brazil’s Neymar. But what about other South American players at the tournament? BBC Sport looks at five players hoping to make an impression, including the midfielder who rides horses and the forward whose goal triggered earthquake detection alarms. Many predict Uruguay, with Luis Suarez in attack and Diego Godin in defence, could be dark horses for the World Cup. But who knew their midfielder Cristian Rodriguez enjoys riding horses when he is away from the pitch? The 32-year-old is one of four players in Uruguay’s squad with 100-plus caps, and is appearing at his second World Cup having helped his country reach the last 16 in Brazil four years ago. Rodriguez honoured a promise ahead of that tournament he would ride a horse to a chapel to pay homage to Saint Cono. “It’s a promise I made for the World Cup qualifiers and if it is a promise you have to fulfil it,” said Rodriguez, who rode with 20 friends in extreme heat. In 2003, he made the same journey on foot to thank Saint Cono for his football achievements. After a career in Europe, including spells at Paris St-Germain, Benfica, Porto and Atletico Madrid, Rodriguez is back playing in Uruguay with his first club Penarol. Uruguay, 14th in Fifa’s world rankings, play their first game at the World Cup on Friday against Egypt in Yekaterinburg (13:00 BST). Run over by his own car. Smashed up a hotel room. Committed a lewd act on a web cam. Argentina midfielder Ever Banega made almost as many headlines off the pitch than he did on it earlier in his career. However, the two-time Europa League winner with Sevilla has matured to become increasingly influential for Argentina, playing a key role in the qualifiers for Russia. Banega, 29, hit the headlines in 2012 when he was run over by his own car after leaving the handbrake off at a petrol station, the vehicle rolling back and breaking his leg and ankle. Other misdemeanours prior to 2014 included wrecking a hotel room in a victory celebration with team-mates. “Over the years you learn things and experience allows you to develop,” he said. Like Argentina and Barcelona star Lionel Messi, Banega grew up in Rosario and he will be hoping to mark his first World Cup by helping Argentina go far in the tournament. Fifth in Fifa’s world rankings, Argentina start the World Cup against tournament debutants Iceland in Moscow on Saturday (14:00 BST). Having been the only uncapped player in Colombia’s squad at the last World Cup, Camilo Vargas is likely to be Arsenal goalkeeper David Ospina’s understudy in Russia. The 29-year-old’s mother-in-law is a spiritual guru and in 2012 she claimed a curse had been placed on Vargas’ then-club Santa Fe in Colombia. After meeting with players she said it would be exorcised if players walked barefoot on the pitch before games. Her intervention coincided with the club winning their first league title for 35 years. Colombia, quarter-finalists in 2014, hope to emerge from a group which includes Poland, Senegal and Japan, their first opponents on 19 June in Saransk (13:00 BST). Russia holds unhappy memories for Brazil defender Thiago Silva. In 2005, the Paris St-Germain player “almost died” during a loan spell at Dynamo Moscow when he was hospitalised for six months. It was discovered he had tuberculosis, an infectious bacterial disease which affects the lungs. Fortunately Silva made a full recovery and he hopes his return to the Russia ends in happier circumstances. Brazil, chasing a sixth world crown, start their tournament against Switzerland on Sunday in Rostov-on-Don (19:00 BST). Silva has won 14 major trophies in his six seasons with PSG, including five league titles. However, the 33-year-old is running out of time as he seeks a first World Cup triumph. Rejuvenated Peru forward Jefferson Farfan has been making the earth move this season. 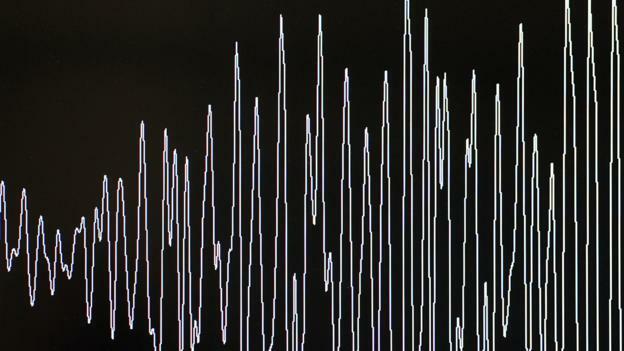 The exuberant crowd celebrations that greeted his opening goal in the World Cup play-off win over New Zealand in Lima last November produced enough seismic activity to trigger earthquake detection alarms in Peru’s capital city. Farfan, 33, is looking to spark more celebrations in Russia, where he won the league title with his club Lokomotiv in May and enjoyed his most prolific season for 11 years, with 14 goals. The renaissance of the right winger has come after six seasons disrupted by injury. Peru, back at the World Cup after a 36-year absence, start the tournament against Denmark on Saturday in Saransk (17:00 BST).